Quick service, fast delivery, well packaged. Good heavy battery. Impressed with website, fast delivery and service. My niggle is the packaging. I was not impressed with the amount of polystyrene and plastic in the packaging. I know you have to protect the product from damage and people from the potential of the acidic content so understand the need for a plastic bag used to seal the battery. Could you not use cardboard as a reinforcing layer instead of polystyrene? We all need to do our bit and manufacturers/suppliers have a massive responsibility. Patrick Saddington. 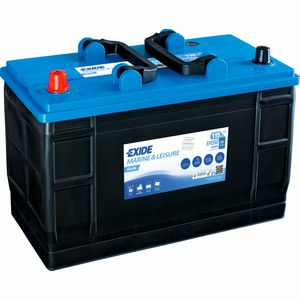 Good batteries EXCELLENT SERVICE Ordered and delivered canalside within 23 hours. Produit reçu très rapidement. Batterie conforme à la description. Je recommande Tayna-Batteries. Tanya selling this product at the best price I could find so I thought I would give them a try,Could not have picked a better company to have ordered from.Iplaced my order online at 4pm on the 5th Feb and to my total surprise it arrived at1pm on the 6th of Feb with hardly a chance of it being damage it was packed so well, I certainly now where to come in future. What an brilliant service battery arrived in a couple of days. Would recommend this company the staff were very helpful. I was unsure if the battery was fully charged on receipt so left it on charge for 24 hours before installing. Not yet used the battery in anger but it looks good! The response to the order was excellent and delivery was made ahead of schedule so I was very pleased, thank you. I used the CMC link to access the NCC Verified leisure battery list and then search for a recommended battery for our level of usage and found this one which does just the job. The service from Tanya was just first class. Excellent batteries as part of my battery bank leisure batteries for my narrowboat. Delivery was swift and the batteries arrived on a pallet well secured and weather proofed. Perfect for yacht battery - matches existing. Team managed to speed up delivery when their courier company sent product to wrong depot and thus ensured it got to me on time. Arrived very promptly and well packaged. Fitted to our caravan the same day. The reason I have only given 4 stars rather than a maximum of 5, is because I have not yet been away in the caravan and therefore cannot judge how well the battery is holding its charge. excellent battery for electricoutboard.will last all day long. competitive pricing and excellent delivery time. Only just fitted but looks to be ok. Small amount of fluid leaked on delivery when I reported it they didn't feel it was a problem but logged the fact just in case it was in the future. Customer service good plus a long guarantee.